• 2019 Ride Jerseys will be available for pre-sale on the Delta Bike Project website in July. • If you want a t-shirt and swag, you must register by November 1st. There will be no t-shirts or swag available for late registrants. No exceptions can be made due to pre-order of products. • The cost of the rides includes assorted cold breakfast foods (e.g. muffins, snack bars, fruit, doughnuts, coffee, etc.) before the rides, ride-appropriate snacks and water at the start/finish and at rest stops, entrance to the after-party, a custom event t-shirt (for early and on-time registrants only), and a pint of beer. • Our ride is on Veteran’s Day weekend every year! We are very excited to offer a $10 discount to active duty military, retirees, veterans and Reserve/National Guard! Please contact us at jgreene@deltabikeproject.org for your discount code! Thank you for your service to our country! Join us on November 9, 2019 for the 5th Annual Gears and Beers! We host a 8.1-mile Beignet Buster, a 30-mile Swamp Romp, a 63-mile Mystic Metric, and the Bayou 100 Century. The Bayou 100 is part of the Alabama Backroads Century Series. Registration links and information will be released in early February 2019. 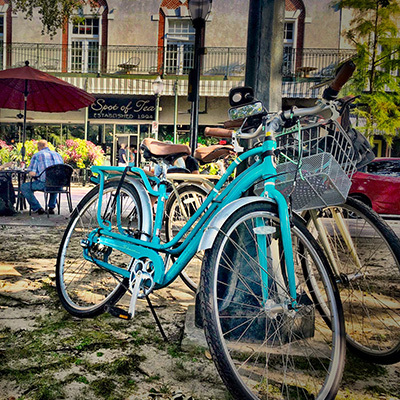 Gears and Beers is a fundraiser that benefits the Delta Bike Project in Mobile, Alabama. The Delta Bike Project is a non-profit, volunteer run organization dedicated to promoting and improving access to bicycle transportation. We offer access to a free community workspace to learn repair skills, programs that allow people in need to earn a bicycle, and low cost used bicycle and part sales. Meet Jenn Greene, Gears & Beers Ride Director. She is a lover of dogs and fosters many as they look for permanent homes. She also loves cycling and helping folks in the Mobile area through the Delta Bike Project. Watch for updates from her via their Facebook page as well as the new G&B website, soon to be unveiled. The Gears and Beers Ride is a collection of four bicycle rides and a street party that raises money to support the various community-based programs at the Delta Bike Project. We support every community member in Mobile, from people that ride bicycles as their primary form of transportation to families looking to repair a broken bicycle to women that want that to learn a critical roadside repair technique. Our programs include: 1) the Time is Money Program, where people in need can volunteer time in exchange for earning a recycled bicycle, 2) hosting open shop hours where visitors can learn to repair their own bicycles under the direction of volunteer mechanics, and 3) providing recycled bicycles and helmets free of charge to children and families. 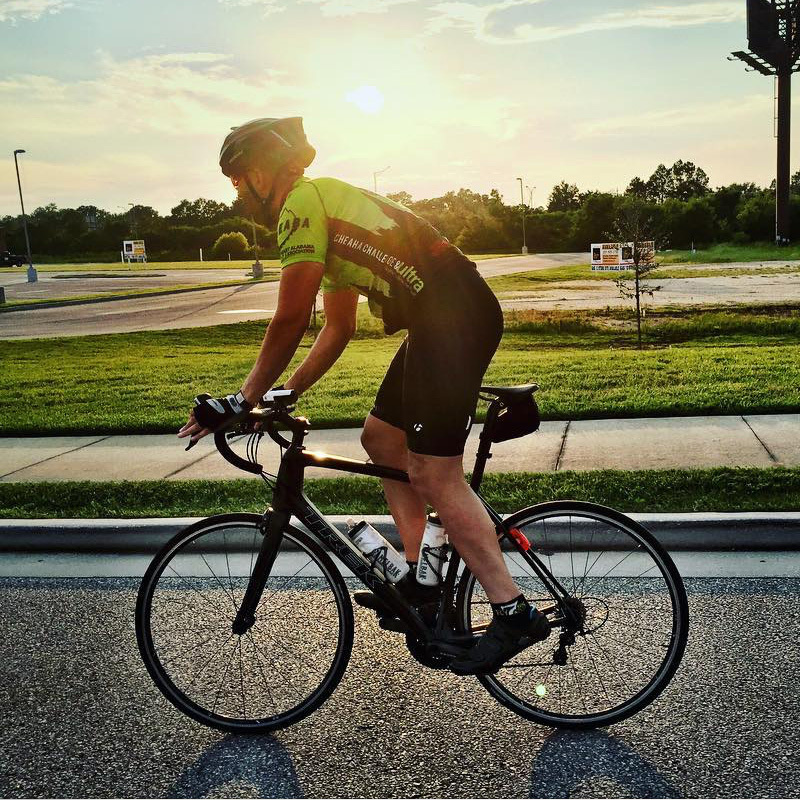 Riders can choose from four different distances – 8.2 miles, 30 miles, 63 miles and 100 miles. The Delta Bike Project believes that cycling and its benefits should be made equally accessible to people from all walks of life. We seek to minimize economic and educational barriers by providing the tools and knowledge for do- it-yourself bicycle repair and low-cost access to, or the ability to earn donated and recycled bicycles through sweat-equity. Visit www.deltabikeproject.org to learn more about our programs! Please note that due to our increased ride participation, our 2019 start, finish, and after-party is moving to the Fort of Colonial Mobile (Fort Conde) at 150 South Royal Street. This is only 0.4 miles from our original street party location, and the same distance from our host hotels. It will provide a safer and more enjoyable ride experience, and one that includes a little history (and great access to free parking). Be sure to visit the Delta Bike Project website to find info on nearby Host Hotels. Throughout the year, we’ve called our Gears & Beers the “Finale Event” of the Series, but I think the better term would be “Grand Finale!” ….as the dictionary defines, “the last part of a piece of music, a performance, or a public event, especially when particularly dramatic or exciting.” With the Ride Start venue having moved to Fort Conde, a huge space was available to offer an unbelievable spread of breakfast items including continental plus warm breakfast sandwiches from Bob’s Downtown Diner! Impressive too was the staff of volunteers including Delta Bike Project personnel, Mobile Community volunteers, and Mobile Police Department. By 7 am start time, the flag was hoisted and century riders were sent out with a beautiful trumpet rendition of our National Anthem. Little did we know that by 8:30, gale force winds would increase to the point that riders were notified they would not be crossing the Dauphin Island Bridge…good news was that despite shortening the ride a bit, all still were awarded Centurion medals! Because of the cold and windy conditions, a good number of people opted for a shorter distance than planned, but through the wave sendoff of riders doing the Mystic Metric, Swamp Romp 30, and Beignet Buster Run Ride 8, the start for everyone went smoothly. Soon after, the breakfast area was transformed into the lunch area with riders soon rolling in to enjoy the afterglow of pedaling their routes…and what an offering it was including big band music by the Mobile Symphony Orchestra! Yes, our shivering ABCS Staff struggled in the gusty conditions with setting up the backdrop for photos, but managed to get it done! Click the pic to see the album. Speaking of on the road, G&B Rest Stops were stocked to the hilt with awesome goodies! Special high-fives going out to our G&B Centurions, finishing under very tough conditions! Click on Tom Fluker and Grandson photo to see all Award Photos. You can hover over most to see the riders’ names. We appreciate feedback. Please set aside a few minutes to tell us about your G&B ride by taking the survey. The Gears and Beers Ride is a collection of four bicycle rides and a street party that raises money to purchase and install bicycle amenities around Mobile, and it helps funds the various community-based programs for the Delta Bike Project. Since the first Gears & Beers in 2015, the Delta Bike Project has purchased and installed 15 bicycle repair stations and pumps, and enough bike parking to accommodate 56 bicycles. Riders can choose from four different distances – 8.2 miles, 30 miles, 63 miles and 100 miles. Scroll down for Ride With GPS maps. Please note that due to our increased ride participation, our 2018 start, finish, and after-party is moving to the Fort of Colonial Mobile (Fort Conde) at 150 South Royal Street. This is only 0.4 miles from our original street party location, and the same distance from our host hotels. It will provide a safer and more enjoyable ride experience, and one that includes a little history (and great access to free parking). If you have questions about this change, please contact your Ride Director at jgreene@deltabikeproject.org. Nestled in the middle of downtown Mobile, Fort Conde guarded Mobile and its citizens for almost 100 years, from 1723-1820. The Fort had been built by the French to defend against British or Spanish attack on the strategic location of Mobile and its Bay as a port to the Gulf of Mexico, on the easternmost part of the French Louisiana colony. The strategic importance of Mobile and Fort Conde was significant, as the Fort protected access into the strategic region between the Mississippi River and the Atlantic colonies along the Alabama River and Tombigbee River. Today, it’s a historic tourist destination and event location, so history buffs of all ages will enjoy this location. Registered riders will be treated to a continental breakfast before the rides, high quality snacks and beverages (and water) at the start/finish and at rest stops, entrance to the after-party, a custom event t-shirt (for people who register early online), a free tasty bowl for authentic, Gulf Coast seafood GUMBO (vegetarian gumbo also available), vegetarian and vegan Riders will have options provided by Whole Foods, and a free pint of beer, plus other swag and chances to win prizes. Food will also be available to order from the Bier Garten, or other nearby restaurants. Start/Finish: The start and finish for all four rides with be at The Colonial Fort of Mobile. The address is 150 South Royal Street, Mobile AL 36602, and is 0.4 miles from our previous start location, and between 0.1 and 0.4 miles from our room block hotels. After Party: The after party will be inside the fort and in the surrounding streets (road closures). Get ready for great music, food, and atmosphere to enjoy with your friends and family. Parking: Parking is at a premium in an urban setting, but this location has plentiful free parking, as well as fee-based lots and garages nearby for your parking needs. If you are staying the weekend in one of our host hotels (which we recommend for out-of-towners, you can park for free in their convenient lots. Map: Need a visual of locations of the Fort, room block hotels (with links), or parking? We have a map for you! Click here to check it out! Routes are similar to last year, with minor adjustments for the change in start and finish. RSVP to the Gears & Beers Ride with GPS event to enable premium features such as spoken turn-by-turn directions and offline download capabilities. Use an Environmental Protection Agency-registered repellent with DEET. Stay and sleep in places with air conditioning or window and door screens. We are so pleased that the new rides offered this year have been so popular, and especially of our Gears & Beers: Bayou 100! Apparently a flat course, beautiful scenery, and BEER appeal to many. Any time numbers jump from 225 to over 700, there are bound to be glitches; but because we feel any shortcomings are easily fixed and were well outnumbered by outstanding entertainment, food, volunteers, police support, gorgeous routes, rest stops, and so much more that we are bringing the event back for 2018! As a fundraising effort to benefit the Delta Bike Project, Gears & Beers is supported by many groups and volunteers in the Mobile community. The Bike Project has purchased and installed 15 bicycle repair stations and pumps, and enough bike parking to accommodate 56 bicycles. Bike repair clinics and an earned-bike program helps low-income cyclists with a means to commute to and from work. So proud of these youngsters and their Dads and Grandads for pedaling the G&B century! We saw many different types of bikes from recumbent trikes & bikes to cruisers and fat tires. What an impressive team of tandem cyclists we had from the Montgomery Bike Club! Click the pic to see and save your photos. Click the pic to see and save award photos. Gears and Beers 2017 has FOUR distinct rides, 8.2 miles, 30 miles, 63 miles and 100 miles! There’s a ride for everyone! Bring your cruiser or hybrid and grab your family and friends for this ride. This FUN ride heads out to Arlington Park in the Brookley Aeroplex for a rest stop at mile 4.1 for coffee and beignets! 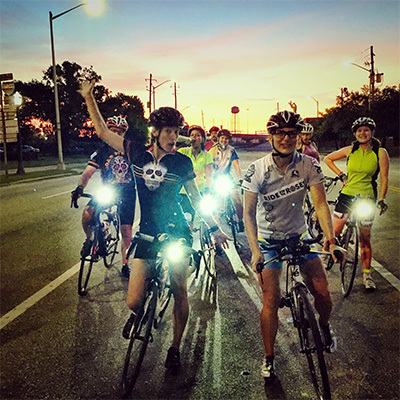 It’s a great ride for anyone looking to have a fun, social ride with 100 of your closest friends. If you are looking for a ride to get your legs spinning for a few hours, this is the one. Riders will travel south down to the neighborhoods around the Dog River and the Peninsula of Mobile Community. Be sure to bring your camera for pictures along the beautiful Bay Front Road. This Metric Century will take you on a speedy jaunt down south along Mobile Bay. Along the way, Mystic Riders will go over the Dog River Bridge, head west toward Theodore, and then south to a loop through Bellingrath Gardens. This is a flat and fast route! This ride should only be attempted by experienced riders, who have some long-distance rides under their belt. The Bayou 100 is the newest edition to the Alabama Backroads Century Series, and the first Series ride in the Mobile area! 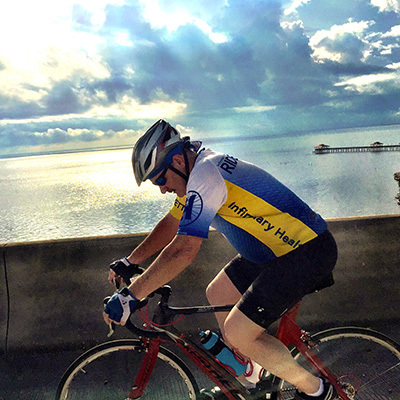 Bayou 100 riders won’t be disappointed with the view, as the route begins in Historic Downtown Mobile before it heads south, hugging the western shore of Mobile Bay. Riders will enjoy a well-supported and well-marked route that takes them through Bellingrath Gardens and further south to Bayou la Batre and Coden, where one of several possible rest stops allows riders to see life in a working bayou, complete with dozens of shrimp boats, giant white pelicans and a towering 50-foot pile of oyster shells. Riders that stop in the Bayou at Rolston Park will get a special culinary treat as well! This ride should only be attempted by experienced riders who have a significant amount of long distance rides under their bibs.